Smart lifecycle management provides storage and access beyond individual episodes of care, encompassing each patient's full story. Tiered archives optimize performance for the currently relevant data. Hosted cloud solutions give enterprises a path forward. Store images in all major image formats using XDS, XDS-I, DICOM and HL-7 standards, as well as non-DICOM objects. Tag morphing allows for efficient management of metadata tagging, ensuring proper display of protocols and comparisons without regard to the format limitations of departmental systems. Clinical information is stored securely and optimized for the performance needed at each stage of the patient's clinical journey. Manage the XDS lifecycle for diagnostic reports and imaging data as well as HL7 data (IOCM). Archive all major data formats from different sources, with intelligent information lifecycle management to contain costs. Extensive tag-morphing capabilities allow data to be stored and distributed with appropriate clinical context. DICOM Take-Over preserves metadata without the need to replace existing archives. Clustered servers or federated archives deliver stability and redundance for a complete, "always on" view of clinical data. Back up enterprise image data onsite or in the cloud for disaster recovery. Carestream Cloud Archive Services offer predictable operational costs for secondary copies of your image data in the secure Carestream data center. Automatically manage the lifecycle of clinical images and data across multiple sites, systems and storage tiers to provide access throughout each patient's clinical history. Smart Storage consolidates existing storage systems, providing virtualization and synchronization throughout the clinical lifecycle. Confidently migrate clinical data from legacy archives into the Clinical Collaboration Platform while maintaining industry standards that simplify future integration and growth. Eliminate costly data migration and the need to purchase a new archive system with DICOM Take Over Service, while minimizing disruption for end users. 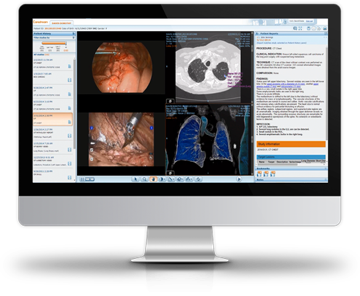 Capture images across departments, modalities and file formats using existing systems, mobile and remote devices, video, document scanners and more — with vendor-neutral support for future imaging technologies.